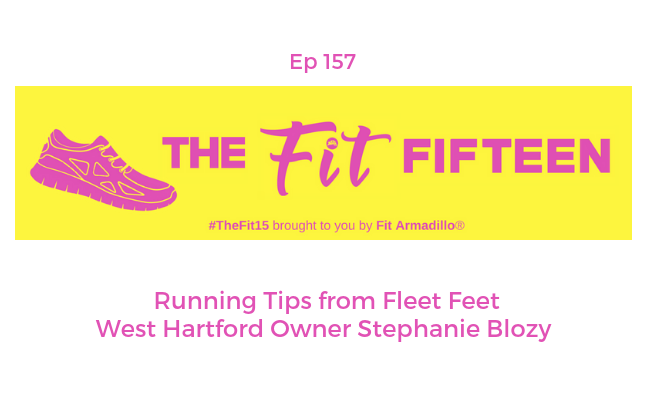 Fleet Feet West Hartford owner Stephanie Blozy shared her inspirational running journey yesterday. 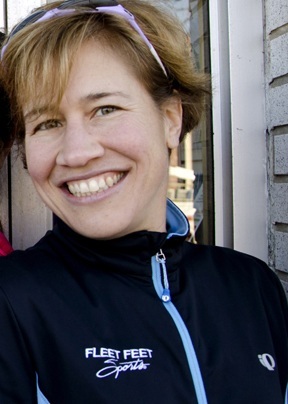 Today, she comes back to share running tips she's learned from personal experience, educational background, and working with runners in the store the past 10.5 years. Learn why visiting a speciality running shoe store will go a long way in helping you run happier longer. This episode is part two of our conversation which started in episode 156. Tune into that to get inspired by Stephanie's running journey. Stephanie began running as a kid, following in the footsteps of her dad (who, at that time, ran in cut-off jeans and Converse sneakers). She competed in her first race when she was 5 years old - beating a local radio personality. short run after reading about exercise benefiting people with autoimmune diseases. While just a 1-mile jaunt around their neighborhood, that run felt like the missing prescription to help Stephanie feel strong enough (physically and mentally) to fight the disease and gain back her life. Realizing the power that running has to change lives ultimately inspired her to switch careers so she could help others, especially kids and those new to running, reap the rewards of a healthy lifestyle and do what they thought wasn’t possible. That short run was followed by many more as the sisters embarked on a journey to train for the Marine Corps Marathon together - a race they completed in the fall of 2002 with their dad. Five marathons later, Stephanie finally qualified for Boston and had a memorable run through those storied streets in April 2009. Her dream of running an ultra marathon came true in 2012 when she completed the North Face Endurance Challenge 50k that featured an epic river of mud 16 miles long! Today, Stephanie has added CrossFit to her training regimen as a way to increase mobility and core strength, as well as build power and endurance so she can run into old age!.